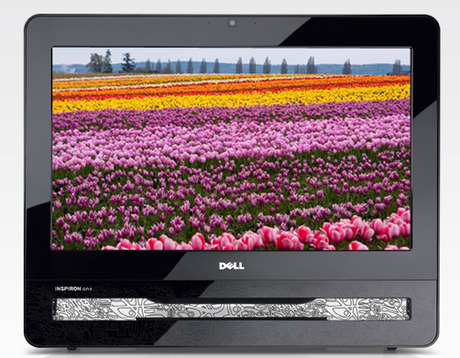 Dell has introduced multi-touch computer screens to its consumer ranges, bringing the touchscreen experience to Inspirons and Studios. 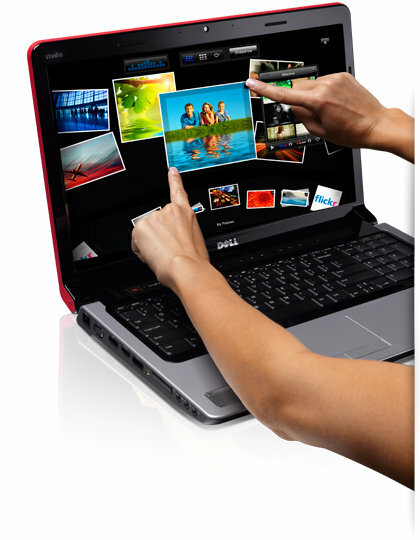 Desktop computer the Inspiron One 19 and laptop the Studio 17 both feature the new technology and will run Windows 7 which natively operates with multi-touch. It sounds intuitive and fun. Of course if you want to do anything involving a word document or an email then the keyboard is still going to be pretty important. The Studio laptop of course comes with one. Buy a plug-in one for the desktop. 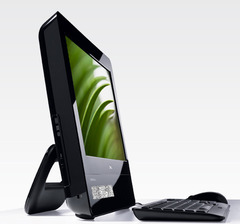 Simplicity is the ethos behind the Inspiron 19 desktop – it only requires one wire and has a kickback stand giving it smooth contours and a small desk footprint. The Studio looks the same as the rest of the range but the touchscreen should massively increase how interactive the user’s experience is. The Inspiron One 19 is already available for sale for According to CNet, the Studio 17 should launch in the UK before the end of the year. We expect that means pretty darn soon. The American version costs $899 so we expect the price will be around £550. Awesome if you have really strong arms. Good idea in theory; but a terrible idea in practice. Its great. Desktop computer the Inspiron One 19 and laptop the Studio 17 both feature the new technology and will run Windows 7 which natively operates with multi-touch.